NIAF’s new “Emanuele and Emilia Inglese Memorial Grant” will help restore the iconic Duomo of Milan and the Spire dedicated to Saint Francesca of Cabrini, the first ever naturalized American citizen to be canonized by the Roman Catholic Church. The statue, situated atop of the fifth largest church in the world and the largest in Italy, has become the symbol of the “Save the Saint” campaign, aimed at gathering funds for this restoration project, which involves all of the Duomo’s 135 spires, each one in need of “adoption”. Seen as the figure of Mother Francesca Cabrini is extremely important to Italian immigrants and Italian Americans – because she embodies the strength, determination and integrity of the Italians who migrated to the United States, where they found success, in various forms - , it’s in her honor that NIAF already gathered their $100,000 grant. Mother Cabrini truly is a compelling figure. In over 30 years of service throughout the United States, she and her Missionary Sisters traveled to all major cities including New York, Philadelphia, Chicago, Los Angeles, Denver, and New Orleans. They worked tirelessly for the good of the less fortunate, establishing orphanages, hospitals, and schools. It’s therefore only natural for people to want to give something back to her now. 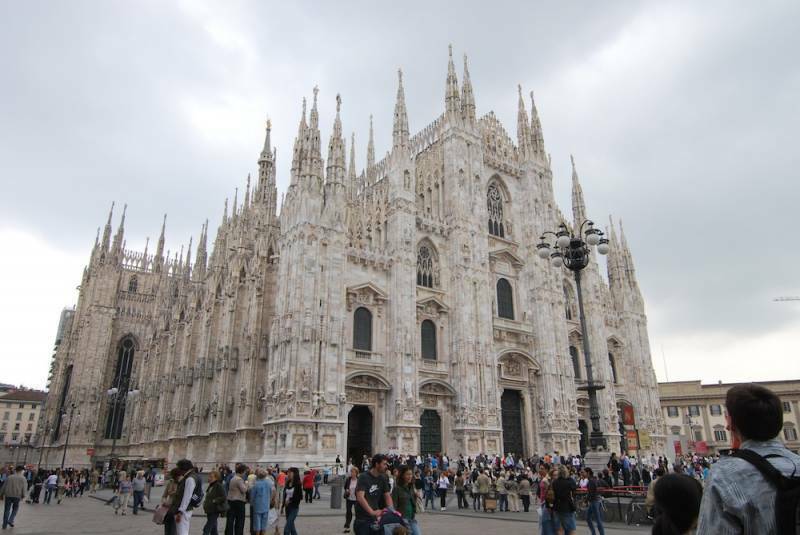 NIAF encourages all Italian Americans to join the International Patrons of Duomo di Milano’s “Save the Saint” campaign, reminding us that the restored Saint Cabrini Spire will be dedicated to all international donors. The crowd founding platform “For Italy” allows Italians and lovers of Italy from all over the world to help preserve this significant monument dating back from the late 1300s. And many entrepreneurs and patrons from the United States and China, for example, are starting to contribute. For further information on how to help “save the saint” visit www.foritaly.org and donate as much or as little as you can: “Miracles do happen, but we need your help”.